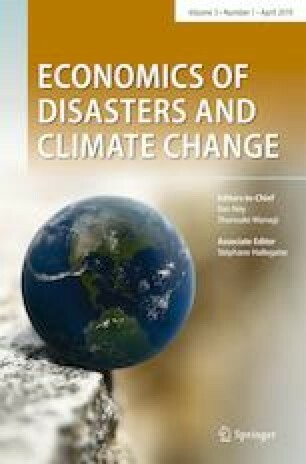 The purpose of the paper is to present an extended literature review with statistical results on natural environmental hazards relying on data from the last 117 years (1900–2016). More specifically, inspired by a statement in Smith’s (1996) book “the rich lose their money but the poor lose their lives” in this study we detect the high-risk areas and correlate them with economic characteristics in an attempt to accept or reject the above statement. Particularly, we hypothesize that the most developed countries have high economic losses and that the least developed countries have great fatalities. In this way we examine if fatalities are proved to be significant in the least developed countries and the total economic damages are proved to be significant in the most developed countries. A number of graphical presentations come to strengthen the statistical results by using map visualization techniques. This work has been supported by the General Secretariat for Research and Technology and the Hellenic Foundation for Research and Innovation (HFRI). We would like to thank the Editor Professor Shunsuke Managi and the anonymous reviewers for helpful and constructive comments that improved the quality of the paper. Any remaining errors are solely the authors responsibility. Total Affected is that summation of Injured Affected and Homeless.